We've recently been working on a completely new iPhone app. The design is beautiful, it works nicely, and of course, is populated with over 150,000 themes. 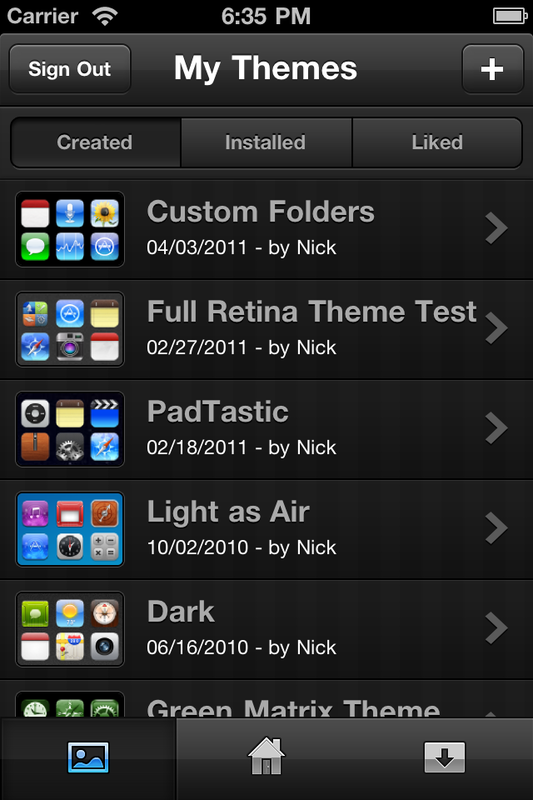 Finally today it's available in Cydia and we're thrilled to get it in your hands. The first thing you'll see when signing in is the Browse tab, where you can look through featured and popular themes, browse by category, or search by term. 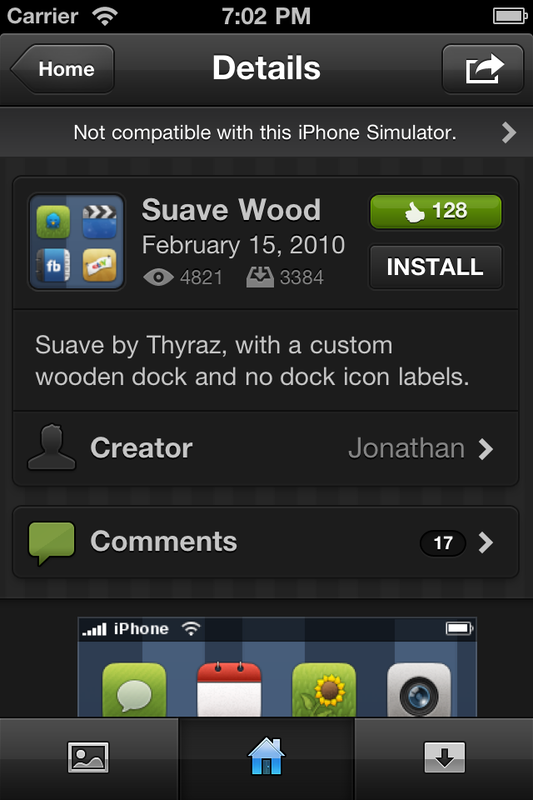 Tap a theme to view it, or swipe across one to like, share, download, or comment. 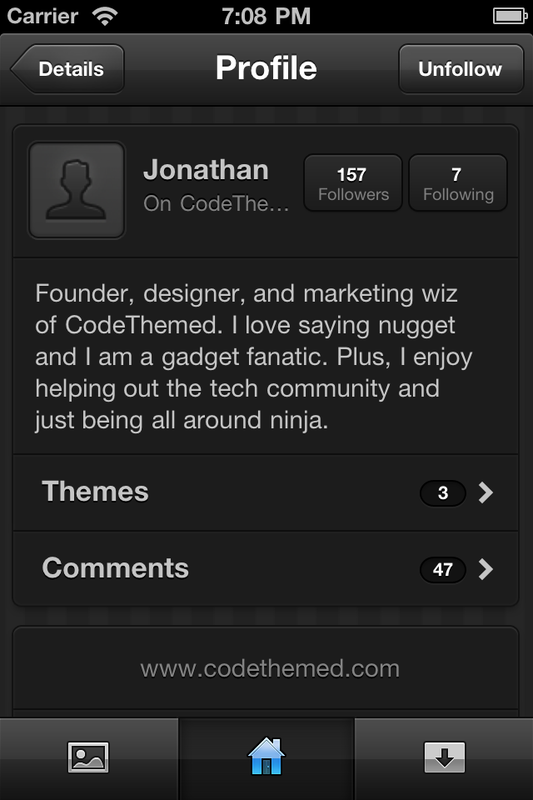 Hitting the user icon allows you to edit your profile, and view your followers' profiles. The left tab brings you to My Themes, where you can manage themes you've created, installed, and liked. Tap the + button to open the Theme Builder, which allows you to customize your device like never before -- on a home screen just like your own. You can instantly see as you build your theme how it will end up looking without any installations necessary. 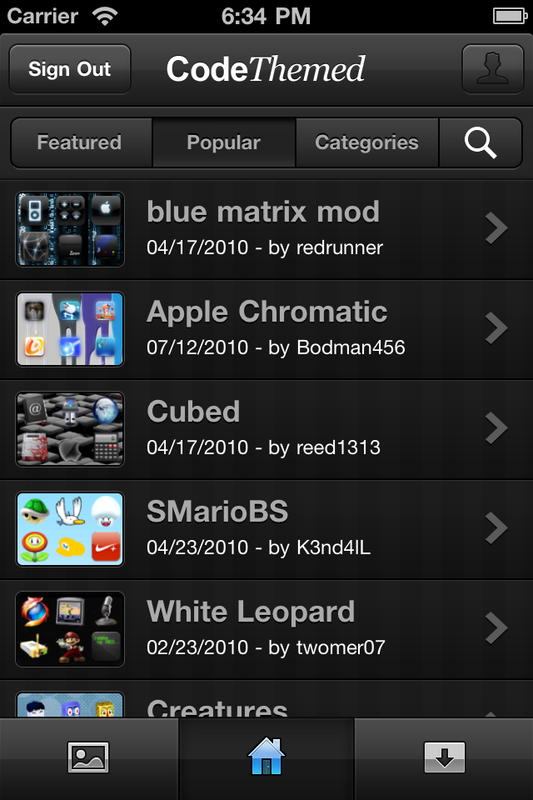 This Theme Builder is a $0.99 add-on that can be purchased in the app through PayPal. In the mobile Theme Builder, simply tap an icon to change it, and if we have any presets available, they're ready for you to use. If not, you can take a photo or choose one from your library and we'll make it look good. The same process goes for docks and wallpapers. Any photos you use in your themes are uploaded to your account, so you can access them from the Custom tab on the website Theme Builder here. When you're finished, hit Done > Save Changes, and enter information about your theme. You can optionally make your theme private if you don't want others to see it. After it's done saving, just install, and apply it in WinterBoard. We think the direction this is going is great, and are excited to finally get it in your hands. What's even more awesome is that our app is now FREE, so there's no reason why you shouldn't have it. Visit this page for more information, or watch some of our favorite video reviews below!